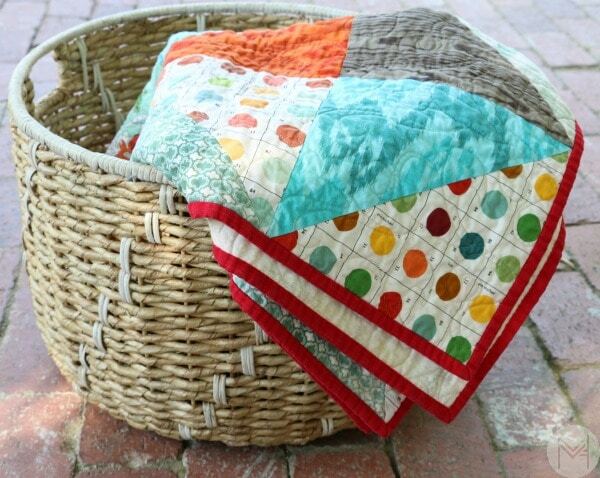 This layer cake quilt is fun because it uses the super simple and beginner friendly half square triangle technique. I used a layer cake so it was even easier! I made all the hsts and then I used my nifty design board to make a special layout. I didn’t have a specific layout in mind when I started, I just played around with it until I found something that was cool and stood out to me. 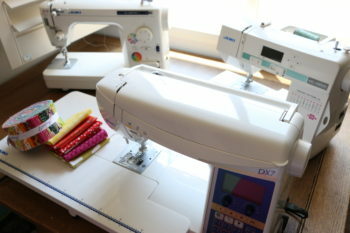 Here are some pretty pictures and the video tutorial for ya! Let me know what you think! That’s how I came up with this “arrow” shape with the lighter fabrics creating this subtle pattern. 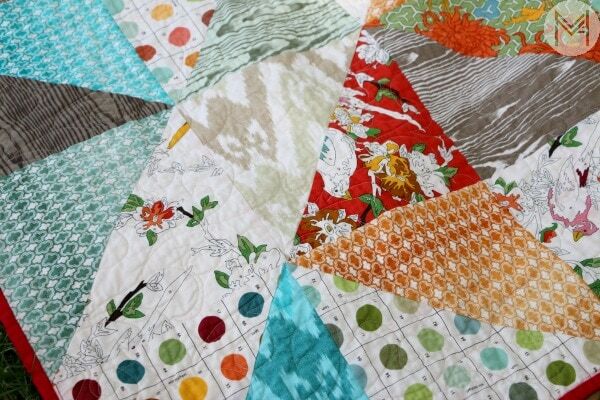 The fabric is a Moda layer cake in the Lush Uptown fabric line. 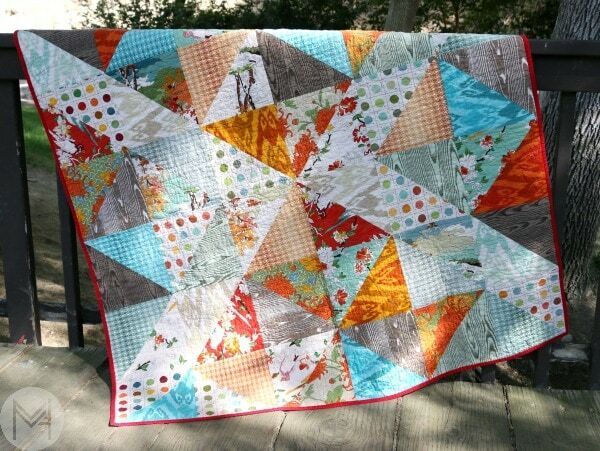 This quilt top is a good lap size measuring 54 x 64. 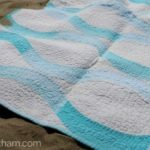 You may not be able to find this layer cake anymore, but here is a great place to find a layer cake to make this project! 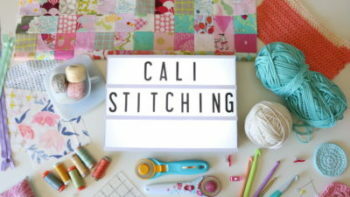 Are you a quilter? 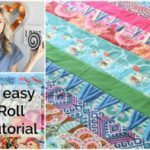 Check out my 10 Tips Every Quilter Should Know post… it’s a good one and I bet you’ll find it helpful! 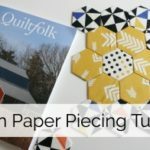 Precut fabrics are phenomenal for getting quilts done quickly and easily! They are so dynamic, but not hard. My Mom took this quilt top one when she was visiting so she could use her long arm to quilt it for me. I think she did a great job! Here is a close up from the front. 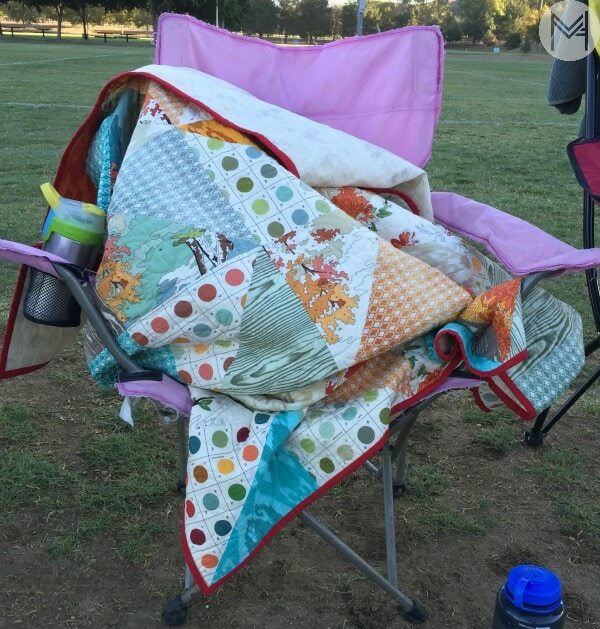 This is how this quilt is being used most of the time… yep my daughter is in there somewhere at an early morning football game for my son ;). 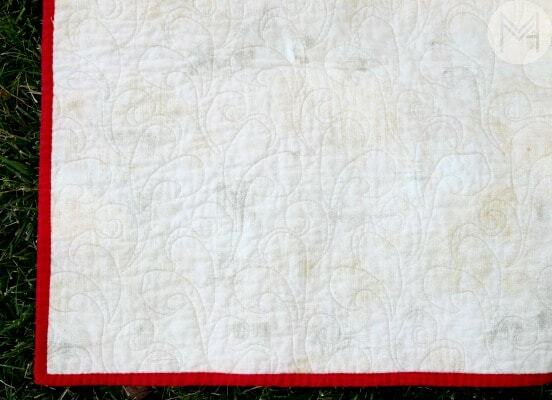 Want to add a border to your quilt? Here is a great post and video tutorial that teaches you just that! Head on over to YouTube and check out the tutorial! Don’t forget to give me a thumbs up and subscribe! I would love to try this! I’ve never bought a layer cake though.Are they all the same as far as how many squares are in each layer cake? Do I need to buy more than one? 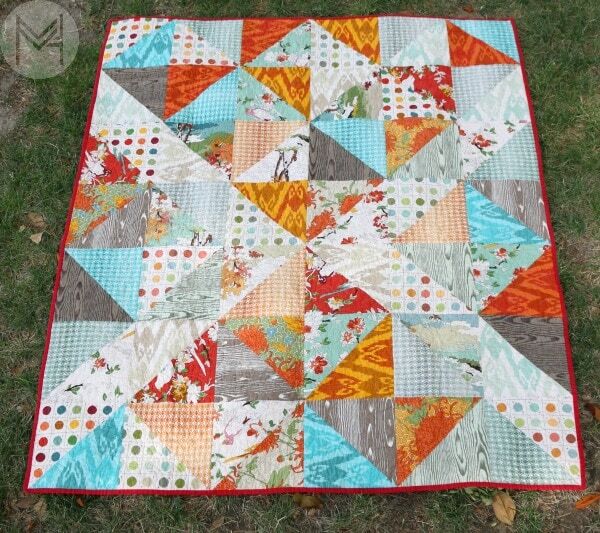 I am thinking THIS could be my beginner quilting project!